The world's largest furniture retailer by sales doesn't even put most of its products together. Yes, Ikea has built an enormous business—and a beloved brand—around making the annoying and time-consuming task of doing it yourself cool. Founded in Sweden in 1943, the company now has more than 350 stores in 45 countries (the U.S. has 40 stores). With its appealing and affordable designs, it's no wonder Ikea furniture is ubiquitous in twentysomethings' apartments and college students' dorm rooms. But cheap and chic gets you only so far. That's where the kooky sweet spot that Ikea has found with its marketing comes in. All over the world, the retailer takes what could be just goofy ideas and makes them memorable—whether it's turning a billboard into a climbing wall or making a cheeky dig at self-important tech companies. And its growing social footprint brings design ideas vividly to life, too. 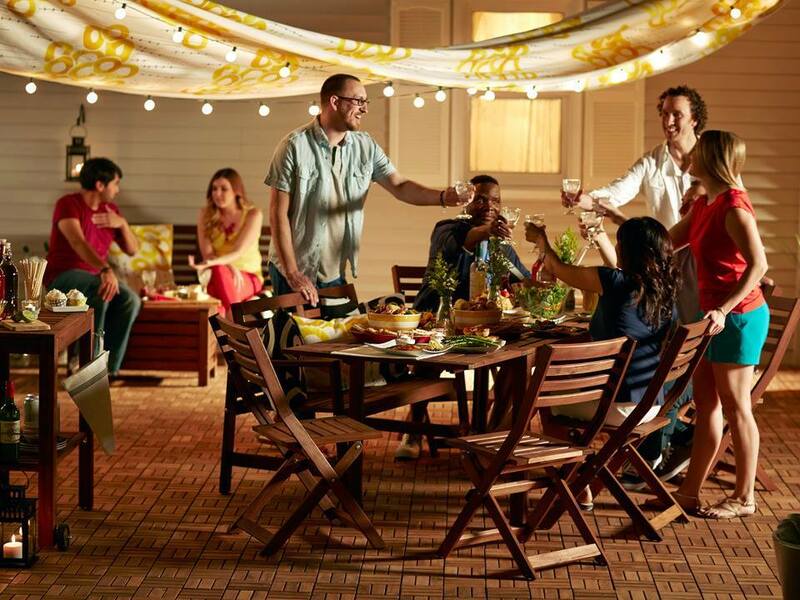 While much of the brand's marketing can be zany, Ikea USA knows when to offer heartfelt comfort to families, as in the spot above. "I challenge myself and my team to be anthropological marketers, listening to customers and providing solutions to their challenges," said Leontyne Green Sykes, chief marketing officer of Ikea North America. "Marketing is fundamentally about creating demand for an idea, concept or product, but it must begin with understanding what the target is looking for—then you can present your offering in a way that creates energy, interest, engagement and, ultimately, trial." • Ikea prints around 200 million copies of its catalog every year in 27 languages for 38 countries. That's more than twice the number of Bibles produced in a given year. • Ikea uses almost 1 percent of the world's commercial wood supply each year to make its furniture. • Ikea sells about 150 million meatballs a year in its store cafeterias. And its food division, with nearly $2 billion in annual revenue, rivals Panera and Arby's in size. • The company is technically part of a Dutch charity, Stichting Ingka Foundation, which administers the Ikea stores though Ingka Holdings, a subsidiary that operates as a for-profit entity. • Yellow block letters on top of a cobalt blue background are uniquely distinct to Ikea. But it wasn't always that way. The company had a variety of logos before it landed, in 1983, on yellow and blue. • In 2012, the company began selling its own lager deemed Öl Mörk Lager.